Well I've reached the end of this enjoyable journey. I'm sad it's over to be honest. I would love to keep reading about Sophronia and her friends, but I have to wait for the next book to come out. Here are my final thoughts on the third book. As Sophronia continues to find her way into trouble, she is finally forced to decide where her loyalties lie: with the supernaturals or the Picklemen, their enemy. While Sophronia's curiosity has led her into a lot of trouble, her loyalty to her friends has also gotten her in trouble, which is exactly what happens in book three. Her friend, Sidheag desperately wants to return to the wolfpack she considers her family and when no one else will help her, Sophronia is forced to come up with a plan to help. But as with the best laid plans, things do not go as planned and Sophronia finds herself having to make difficult decisions that she would never have wanted to have to make. And these decisions change everything including her plans for the future. In addition to everything else, she continues to struggle with her feelings for Soap, who she claims to only care about as a friend, and Lord Felix, who is adorable, but whose opinions and family loyalties conflict with Sophronia's training and inclinations. Carriger continues to surprise with the growth of her characters as they are forced to face some of the difficult choices that come with adulthood. The touches of romance were just right and headed in the direction that I hoped they would, but the events at the end bring huge changes for Sophronia and her friends. I am really eager to see where the story goes next. I am sure that if nothing else, Sophronia will continue to cause havoc for those around her. Sophronia continues to be one of my favorite characters whose ingenuity I have to admire, but I admit being her friend would be rather hazardous. A thoroughly enjoyable series for the tween and YA set. Because of the appearance of naked men (werewolves are naked when they change form) and certain references to this, I would recommend this series for older middle grade and young adult readers. There is also some mild language. Check out some other thoughts here (warning there are spoilers here) and here. Count and share withunderwear! Come along on a zany adventure with hilarious pictures from the New York Times bestselling illustrator of Goodnight, Goodnight, Construction Site. What's one thing that two bears, three yaks, four goats, and six cats have in common? But look out here comes a pack of twenty pigs ready to prove that sharing makes everything twice as fun! This seriously silly picture book with artwork by the New York Times bestselling illustrator of Goodnight, Goodnight Construction Site irresistibly combines the concepts of counting and sharing. 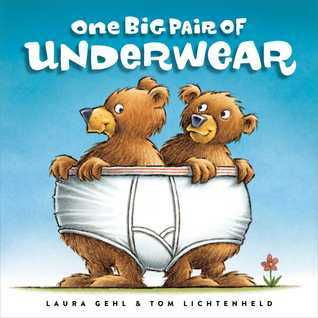 Laura Gehl is the author of One Big Pair of Underwear, illustrated by Tom Lichtenheld, which released from Simon & Schuster in September 2014. She is also the author of four other upcoming picture books: And Then Another Sheep Turned Up; Hare and Tortoise Race Across Israel; Peep and Egg: I’m Not Hatching; and Peep and Egg: I’m Not Trick or Treating. Laura hopes you will check out One Big Pair of Underwear from your local library, then love it enough to buy it at your local bookstore. Visit Laura online at www.lauragehl.com and www.facebook.com/AuthorLauraGehl. Thanks so much to Heidi for hosting me on this stop of my One Big Pair of Underwear blog tour! Since it is the day after Thanksgiving, I am guessing a lot of people are in need of a bigger pair of underwear today…. 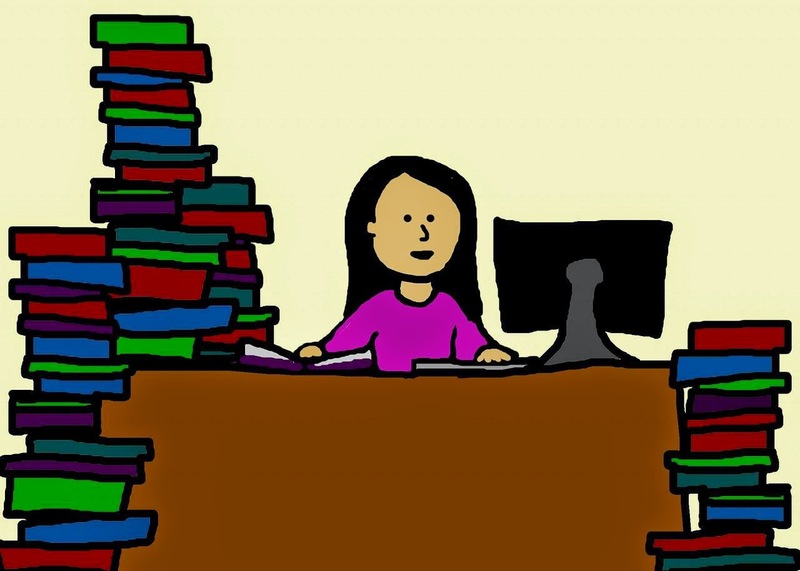 In honor of Heidi and all other children’s librarians, I thought I would make this post about my love of libraries. How do I love libraries? Let me count the ways. Free books. This one is obvious, I admit, but sooooo important. Free books on CD. My kids love books on CD. So does my mom. Free music on CD for the car. Otherwise, it would be all Frozen all the time. Now it is only 99% Frozen 99% of the time. The thrill that comes from finding a just-released book on the shelf. The even bigger thrill of finding a new batch of picture books in the children’s room (at our local library, the new picture books come in waves). The power (really, it’s like a superhero power) to put a book from another library on hold and have it magically show up at my library with my name on it. On-line due date reminders and on-line renewals. And those are just my reasons for loving public libraries. Don’t even get me started on how much I love school libraries. Well, okay, if you insist. Last year, despite having a wonderful teacher at a wonderful school, my 5-year-old hated kindergarten. But every week, he would come home and proudly show me his school library book. Going to the library was a highlight of the week for him. And the librarians at both schools my children attend are fantastic at guiding the kids towards books we might never have found at the public library. One year, my son came home excited about a series of books about states. One book per state. Snooze-fest, you think? Me too. But he couldn’t get enough of those books. Another year, with another son, it was nonfiction history books in the form of graphic novels. I don’t personally enjoy either graphic novels or history books, and certainly not the two combined…but those books ended up being a huge hit with my son (and he is the least into reading of my four kids). I’ll leave you with one last reason I love libraries. Which is that I think libraries make people into adventurous readers. Most of us don’t buy books unless we know we will enjoy them…which often means books by authors we already know and like. But at the library, we pick up all kinds of books. Books we know we’ll enjoy. Books we hope we’ll enjoy. Even books we know we probably won’t enjoy. And every once in a while, a book in that last category turns out to be fabulous. Which is like the library giving you an unexpected present…a present that you get to keep for three whole weeks. More, if you renew on-line. Some farms grow vegetables or grains, and some raise cows, sheep, chickens, or pigs. But have you ever heard of a butterfly farm? How do you raise a butterfly? There are many different kinds of farms out there, but this is the first time I've heard of butterfly farms. It makes a great deal of sense that there would be such a thing, I've just never thought about it before now. 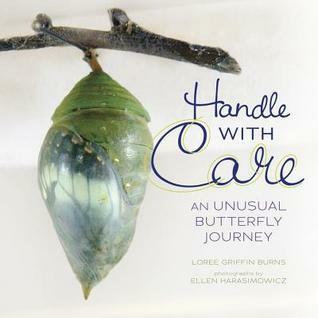 This book beautifully describes what happens on a Costa Rican butterfly farm, how the butterflies are raised and transported to places around the world. The photographs do a wonderful job of illustrating what the author is describing. The extra information at the end is very useful, explaining the insect life cycle in terms of butterflies, beetles, and flies. 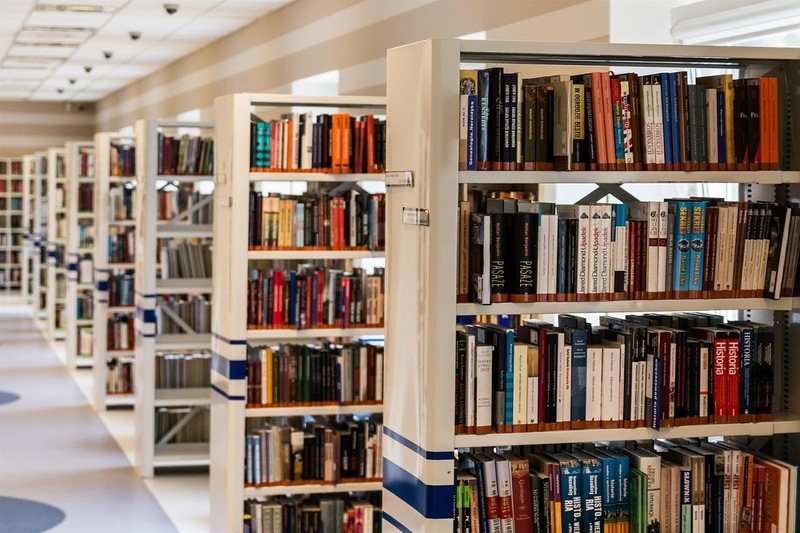 The reference lists and glossary also make this a great resource as well as the link to further resources from the publisher. A wonderful book that would be very useful in teaching children about the life cycle of butterflies. Find out how the smallest things on the planet do some of the biggest jobs in this intriguing introduction to the world of microbes. All around the world -- in the sea, in the soil, in the air, and in your body -- there are living things so tiny that millions could fit on an ant's antenna. They're busy doing all sorts of things, from giving you a cold and making yogurt to eroding mountains and helping to make the air we breathe. If you could see them with your eye, you'd find that they all look different, and that they're really good at changing things into something else and at making many more microbes like themselves! From Nicola Davies comes a first exploration for young readers of the world's tiniest living organisms. Microbes as organisms too small to be seen by the human eye are a topic that would be hard for children to understand since it's a rather abstract concept. Nicola Davies has done an excellent job in explaining the concept of these small creatures that out number people by many millions to one. The amazing world of microbes comes to life in Davies' words and Sutton's illustrations. There is just enough detail to be interesting without becoming overly complicated for the intended audience. The illustrations show the differences in sizes between different microbes and how different they look as well as how quickly they can multiply. It's a subject that can be rather overwhelming yet made palatable by the excellent work of Davies and Sutton. Author Phyllis Root and illustrator Betsy Bowen last explored the vast, boggy peatlands of northern Minnesota in their book Big Belching Bog. Now, in Plant a Pocket of Prairie, Root and Bowen take young readers on a trip to another of Minnesota’s important ecosystems: the prairie. Once covering almost 40 percent of the United States, native prairie is today one of the most endangered ecosystems in the world. Plant a Pocket of Prairie teaches children how changes in one part of the system affect every other part: when prairie plants are destroyed, the animals who eat those plants and live on or around them are harmed as well. 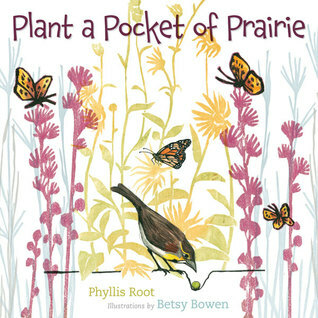 Root shows what happens when we work to restore the prairies, encouraging readers to “plant a pocket of prairie” in their own backyards. By growing native prairie plants, children can help re-create food and habitat for the many birds, butterflies, and other animals that depend on them. “Plant cup plants,” Root suggests. “A thirsty chickadee might come to drink from a tiny leaf pool. Plant goldenrod. A Great Plains toad might flick its tongue at goldenrod soldier beetles.” An easy explanation of the history of the prairie, its endangered status, and how to go about growing prairie plants follows, as well as brief descriptions of all the plants and animals mentioned in the story. With Betsy Bowen’s beautiful, airy illustrations capturing the feel of an open prairie and all its inhabitants, readers of all ages will be inspired to start planting seeds and watching for the many fascinating animals their plants attract. What a marvelous transformation could take place if we all planted a pocket of prairie! While the focus of this book is on Minnesota prairie and wildlife, the principles in regard to building a small prairie in your backyard certainly apply to a lot of other places. I loved how the author and illustrator go through the building of a prairie from one plant and animal to more and more until a full-blown prairie has taken root. I enjoyed hearing about the different animals and plants and how interconnected their lives were. It was sad though to think how little prairie is left in its natural state. This book would make a great teaching tool for teaching about the prairie habitat as well as teaching about environmental repair. A great resource and enjoyable look at the beauty of the natural world that we would do well to take care of before it's gone altogether. Whimsical and touching images tell the story of an unexpected friendship and the revelations it inspires in this moving, wordless picture book from two-time Caldecott Honor medalist Marla Frazee. A baby clown is separated from his family when he accidentally bounces off their circus train and lands in a lonely farmer's vast, empty field. The farmer reluctantly rescues the little clown, and over the course of one day together, the two of them make some surprising discoveries about themselves and about life! Sweet, funny, and moving, this wordless picture book from a master of the form and the creator of The Boss Baby speaks volumes and will delight story lovers of all ages. To be honest when I first heard about this book I thought it sounded kind of strange. I mean a farmer and a clown?! However the more good things I heard about it the more I decided I should probably at least look at it. And I am so glad that I did. 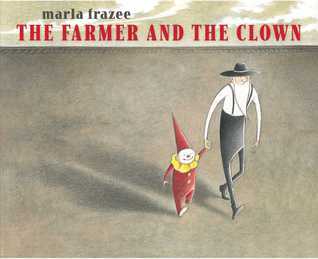 For one thing its by Marla Frazee whose illustration style I really like and this book is no different. Cute is a good word for this book. The book starts with a farmer working in his field who is interrupted by something falling off a passing train. That something turns out to be a little clown. The rest of the story revolves around the activities of the farmer and clown until the train returns. The interactions between the two characters are really sweet, especially when the farmer greets the young clown by making a face and doing a jib in his long johns. All the good things I've heard about the book turn out to be true. The book shares an unusual friendship between two very different characters who eventually go their own ways but who have left a mark on each other (and something a little more in the case of the little clown). A wonderful wordless book perfect for stimulating young imaginations that reminds the reader that even those with little in common can be friends if they try hard enough. 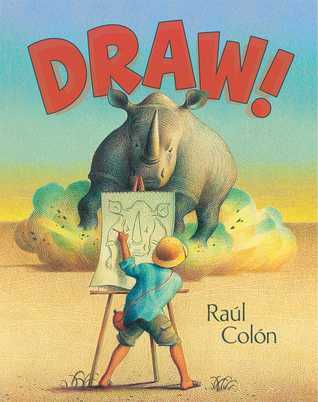 Based on his own childhood, beloved and award-winning artist Raul Colon's wordless book is about the limitless nature of creativity and imagination. What would it be like to on safari? A boy named Leonardo begins to imagine and then draw a world afar&#8212;first a rhinoceros, and then he meets some monkeys, and he always has a friendly elephant at his side. Soon he finds himself in the jungle and carried away by the sheer power of his imagination, seeing the world throuhg his own eyes and making friends along the way. Raul Colon has created a wonderfully imaginative tale with this wordless picture book. A young boy sits in his room after looking at a book about Africa and picks up his sketchbook to draw. He imagines himself on a journey in Africa where he runs into a bunch of different animals who he draws in his sketchbook. Not only are the illustrations amazing but the story is a homage to the wonderful power of a child's imagination to take them places without ever leaving home. I especially liked the change in the illustrations from the boy's room to the safari demonstrating the vibrancy that can exist in the human mind. 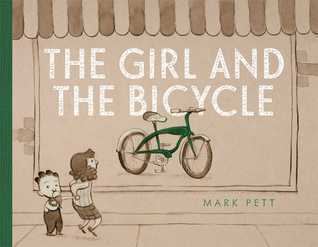 From the creator of The Boy and the Airplane, a touching wordless picture book about a little girl, a shiny bicycle, and the meaning of persistence with an unexpected payoff. Wordless, timeless, and classic, The Girl and the Bicycle carries a message of selflessness and sweet surprises and makes an ideal gift for graduations and other special occasions. I loved this wordless book from the moment I saw it in ARC form. Not only are the illustrations darling but it is such a delightful story. A young girl sees a bicycle in a window is determined to have it but after looking at her piggy bank realizes she doesn't have enough money. She sells lemonade and some of her toys but still doesn't have enough. Thanks to a kindly neighbor she does yard and garage work to help earn the money. The book takes her through the whole year it takes her. What is especially neat about the book is what the little girl does when she goes back to the story to buy the bicycle only to find it gone. And the special treat in store when she and her little brother, who has been tagging along through most of the story, get back home. Truly a great book about the power of kindness and generosity given and received. In this case, pictures really are more powerful than words. 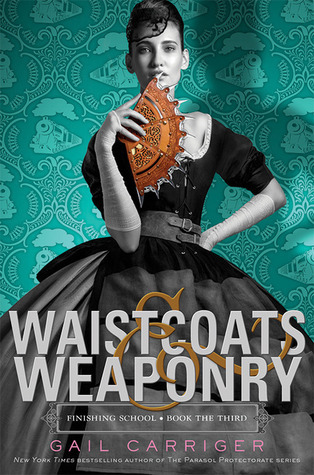 Here are my thoughts on the first half of WAISTCOATS & WEAPONRY. I'm enjoying this one just as much as I have enjoyed the first two books in the series. Sophronia is up to her old tricks but this time she's putting them to use on behalf of a dear friend. I've noticed that as much as Sophronia distains her own emotions, the second book and this one revolve around her efforts to help her friends. In the second book, she used her talents to save Dimity from kidnappers and in the process got involved with a vampire conspiracy. In this book, things have gone horribly wrong for Sophronia's friend, Sidheag's werewolf pack. Sidheag desperately wants to go home to try to help and she enlists Sophronia's help to get there. Of course, Sophronia has learned that she's much more effective with the help of her friends and she is, so she sets off with her friends from the school and two boys who are both interested in her. But like most emotions, Sophronia is uncertain about how to deal with the two boys and she's still not sure where she stands on the Pickleman vs. supernatural conflict. The book so far has the same signature humor and wit as the previous two books and I really like it. There is a short section on the use of seduction but it's relatively mild. I'm really wishing I didn't have to wait for the next book. Sophronia and her colleagues have become characters that I really like rooting for. The combination of steampunk and supernatural works surprisingly well and provides an interesting point of conflict for Sophronia and her friends. Title: A Year in the Life of the Secret Garden | Author: Valarie Budayr | Illustrator: Marilyn Scott-Waters | Publication Date: November, 2014 | Publisher: Audrey Press | Pages: 144 | Recommended Ages: 5 to 99 Book Description: Award-winning authors Valarie Budayr and Marilyn Scott-Waters have co-created A Year in the Secret Garden to introduce the beloved children’s classic, The Secret Garden to a new generation of families. This guide uses over two hundred full color illustrations and photos to bring the magical story to life, with fascinating historical information, monthly gardening activities, easy-to-make recipes, and step-by-step crafts, designed to enchant readers of all ages. Each month your family will unlock the mysteries of a Secret Garden character, as well as have fun together creating the original crafts and activities based on the book.Over 140 pages, with 200 original color illustrations and 48 activities for your family and friends to enjoy, learn, discover and play with together. A Year In the Secret Garden is our opportunity to introduce new generations of families to the magic of this classic tale in a modern and innovative way that creates special learning and play times outside in nature. This book encourages families to step away from technology and into the kitchen, garden, reading nook and craft room. The Secret Garden has long been one of my favorite books. I read it many times as a youngster. The whole idea of a secret place to go to get your hands dirty and to enjoy the outdoors was thrilling to me. And clearly I'm not the only one. This book is chock full of ideas for taking the book and expanding on it through a variety of different activities. There are delicious sounding recipes to give children a taste of some of the food mentioned in the book. There are instructions for planting bulbs, making your own jump rope from plastic bags, and directions for creating home made bird feeders. The authors include brief character studies for all of the main characters. The activities are divided up by month allowing the book to be celebrated all year or any month of the year. A wonderful collection sure to be enjoyed by those who loved The Secret Garden and want to share it with their children at home or at school. Valarie Budayr loves reading and bringing books alive. Her popular website, www.jumpintoabook.com, inspires children and adults alike to experience their books through play, discovery, and adventure. She is founder of Audrey Press, an independent publishing house, as well as an Amazon and iTunes best-selling author. She has written The Fox Diaries: The Year the Foxes Came to our Garden and The Ultimate Guide to Charlie and the Chocolate Factory. Valarie is passionate about making kid’s books come alive and encouraging families and schools to pull books off the shelves and stories off the pages. Marilyn Scott-Waters loves making things out of paper. Her popular website, www.thetoymaker.com, receives 2,000 to 7,000 visitors each day, who have downloaded more than six million of her easy-to-make paper toys. Her goal is to help parents and children spend time together making things. She is the creator of a paper toy craft book series The Toymaker’s Christmas: Paper Toys You Can Make Yourself (Sterling), and The Toymaker’s Workshop: Paper Toys You Can Make Yourself (Sterling). She is also the co-creator with J. H. Everett of the middle grade nonfiction series, Haunted Histories, (Christy Ottaviano Books / Henry Holt Books for Young Readers). Ms. Scott-Waters illustrated The Search For Vile Things (Scholastic), and created paper engineering for Pop & Sniff Fruit (Piggy Toes Press). Prize: $100 Amazon Gift Card or PayPal cash (winner’s choice) Contest ends: December 7, 11:59 pm, 2014 Open: Internationally How to enter: Please enter using the Rafflecopter widget below. Terms and Conditions: NO PURCHASE NECESSARY TO ENTER OR WIN. VOID WHERE PROHIBITED BY LAW. A winner will be randomly drawn through the Rafflecopter widget and will be contacted by email within 48 hours after the giveaway ends. The winner will then have 72 hours to respond. If the winner does not respond within 72 hours, a new draw will take place for a new winner. Odds of winning will vary depending on the number of eligible entries received. This contest is in no way sponsored, endorsed or administered by, or associated with Facebook. This giveaway is sponsored by the authors Valarie Budayr and Marilyn Scott-Waters and is hosted and managed by Renee from Mother Daughter Book Reviews. 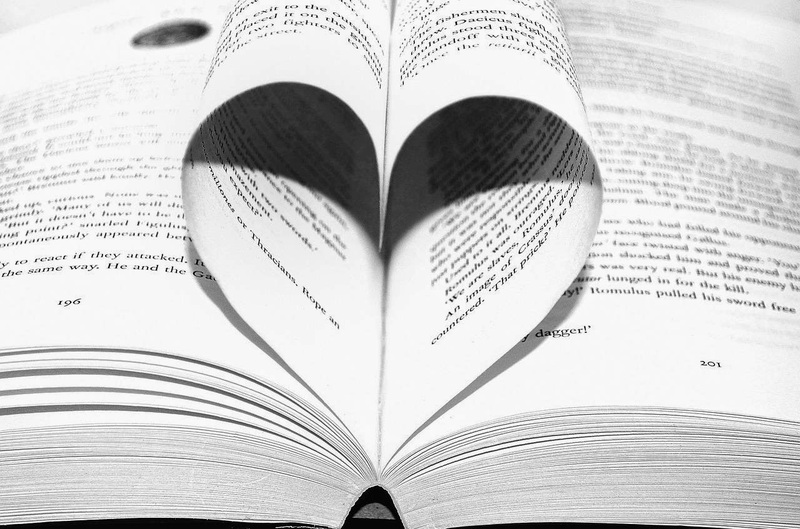 If you have any additional questions – feel free to send and email to Renee(at)MotherDaughterBookReviews(dot)com. Strongheart may have been a movie star, but he wasn’t always famous. He started out as a police dog who could sniff out criminals and march like a soldier, but he didn’t know how to have fun. Larry Trimble was a Hollywood director who wanted to put Strongheart in his movies—not just as a pet but as the lead actor. Larry taught him to play with toys and walk like a regular dog. In his films, Strongheart brought audiences to tears. He was a sensation! But when Strongheart's military training led to trouble, was his career over? Set in the early days of silent movies, Emily Arnold McCully's extraordinary story about a real-life hero will capture the hearts of dog lovers and movie fans everywhere. Mankind's love affair with dogs has been around for a long time. Our love affair with the movies hasn't been around as long, but it's just as strong, the two were bound to meet sooner or later. 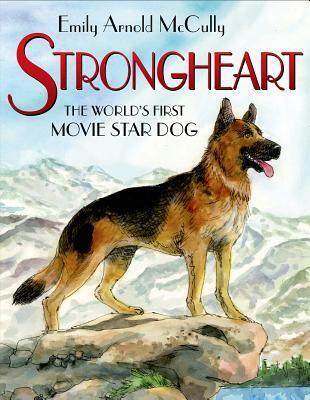 Strongheart is the fictionalized story of the dog that brought the two together. Trained as a police dog, Strongheart didn't know how to play when Larry Trimble adopted him. This is an interesting story about the intelligence and heart that dogs can offer. A fun book that is bound to be enjoyed by dog and movie lovers. What do grizzly bear cubs eat? Where do baby raccoons sleep? And how does a baby otter learn to swim? Every baby mammal, from a tiny harvest mouse "pinky" to a fierce lion cub, needs food, shelter, love, and a family. Filled with illustrations of some of the most adorable babies in the kingdom, this awww-inspiring book looks at the traits that all baby mammals share and proves that, even though they're born in the wild, they're not so very different from us, after all! 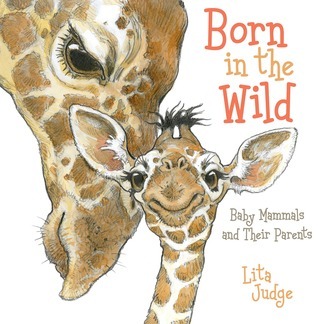 A beautifully put together book, Born in the Wild, is sure to be a favorite with young animal lovers. The text is very informative and brief enough to be appropriate for younger readers. But the real draw here are the amazing illustrations. There are so adorable. Baby animals are always cute, but Judge's illustrations are especially appealing. For those readers who want to know more, each of the animals mentioned in the book are further described in notes at the end of the book along with a source list and recommended websites. As far as the information goes, the author focuses on the needs of baby mammals including: birth, food, protection, shelter, and movement. This is definitely one of my favorite picture books of the year. The intricate beauty of snowflakes is fully revealed in this amazing pop-up book. An enchanting explanation of the uniqueness of snowflakes supplemented by information about the real life Snowflake Man, Wilson A. Bentley, who was the first to photograph snowflakes, engages readers of all ages. Each of the seven spreads features fully illustrated pop-ups and delicate mixed media that are sure to surprise and delight. Pop-up book are always fun, although once you put them in a child's hands they don't tend to last very long. Which is why I can't put them in my school library. I got this one to share with my kindergartners though when I talk about snow and winter. 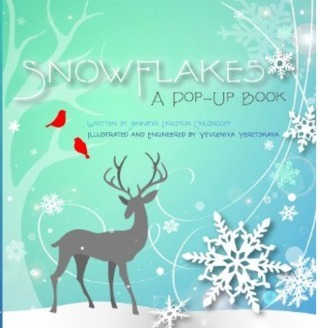 There is basic text describing snowflakes and their uniqueness and beauty, but there are also smaller pop-ups with more information about snowflakes and Snowflake Bentley who helped discover the uniqueness of snowflakes. A wonderful, glittery book that children as well as adults are bound to enjoy. There's a blizzard blowing toward Lilypad and someone has to warn the frogs! Frog News Network meteorologist Sally Croaker is busy in the newsroom and Polly Woggins is preparing for live broadcasts in the snow. It's up to Freddy the Frogcaster to spread the news and get everyone prepared for the snow storm! 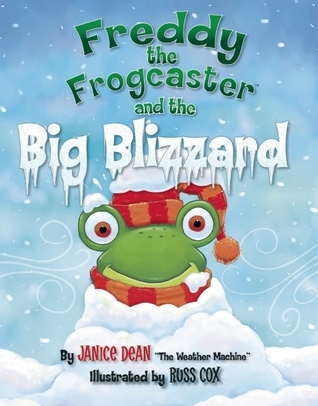 The second book in the popular Freddy the Frogcaster series from Janice Dean "The Weather Machine," Freddy the Frogcaster and the Big Blizzard will entertain the whole family with a fanciful blend of weather facts and froggy fiction. I thought it was fun to meet up with Freddy again in this new book by Janice Dean. Freddy and his classmates are enjoying a field trip to the Frog News Network when Freddy helps point out to them that a blizzard is on the way. Freddy being on top of things sets out to prepare for the blizzard and when he realizes that Polly Woggins is going to be out in the blizzard, he sets out to help her too, whether she accepts it or not. The frogs are adorable and the way the weather facts are blended into the story makes this both an enjoyable story and an informative one. The additional information at the end of the book about blizzards and preparing for them add further value to the book. A great book for those young readers who are fascinated with the weather. 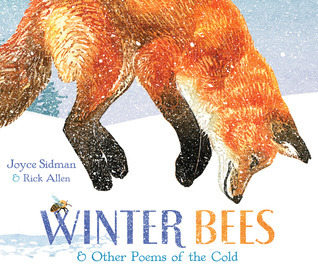 In this outstanding picture book collection of poems by Newbery Honor-winning poet, Joyce Sidman (Song of the Water Boatman, Dark Emperor and Other Poems of the Night), discover how animals stay alive in the wintertime and learn about their secret lives happening under the snow. Paired with stunning linoleum print illustrations by Rick Allen, that celebrate nature's beauty and power. I've long been a fan of the printmaking style of illustrations and this book reminded me once again why that is the case. These illustrations are absolutely gorgeous. Whether it's a picture of a fox pouncing, as on the cover, or a hive of bees sequestered for the winter or the beavers in their lodge, Allen has created beautiful artwork that is sure to stand the test of time. And the poems are just as amazing. There are poems highlighting tundra swans, garter snakes, moose, snowflakes, bees, beavers, and more. In addition to the wonderful poetry, the author also includes a short explanation of the facts behind the poems. A beautiful book all the way around and I would be surprised if it doesn't get some award love. This is definitely one of my favorite picture books of the year. 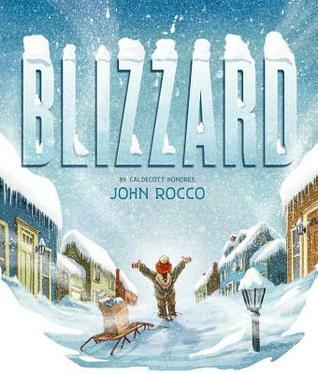 Blizzard is based on John Rocco's childhood experience during the now infamous Blizzard of 1978, which brought 53 inches of snow to his town in Rhode Island. Told with a brief text and dynamic illustrations, the book opens with a boy's excitement upon seeing the first snowflake fall outside his classroom window. It ends with the neighborhood's immense relief upon seeing the first snowplow break through on their street. In between the boy watches his familiar landscape transform into something alien, and readers watch him transform into a hero who puts the needs of others first. Rocco uses an increasing amount of white space in his playful images, which include a gatefold spread of the boy's expedition to the store. This book about the wonder of a winter storm is as delicious as a mug of hot cocoa by the fire on a snowy day. I've long been a fan of John Rocco and this book joins the other books of his that I love. This is a book that children are bound to enjoy because the focus is on the children in the story. It's told in first person by the boy as he experiences the joys and difficulties of a powerful blizzard. Some aspects of the experience were enjoyable such as having school off and playing in the snow, but there were plenty of challenges too, such as the door being stuck, shoveling the driveway, and not being able to get to the store. But the boy has been reading up on his survival skills and comes up with a way to save the day. The illustrations are endearing and delightful and so child-friendly, especially the fold-out picture of the boy's meandering journey to the store on his tennis racket snow shoes. A winner through and through and one I would love to see get some award love in January. 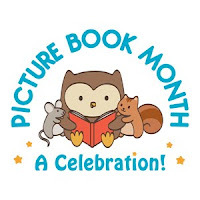 NONFICTION MONDAY/PICTURE BOOK MONTH: Baseball!